One of the world’s leading pianists, Angela Hewitt regularly appears in recital and with major orchestras throughout Europe, the Americas and Asia. Her performances and recordings of Bach have drawn particular praise, marking her out as one of the composer’s foremost interpreters of our time. 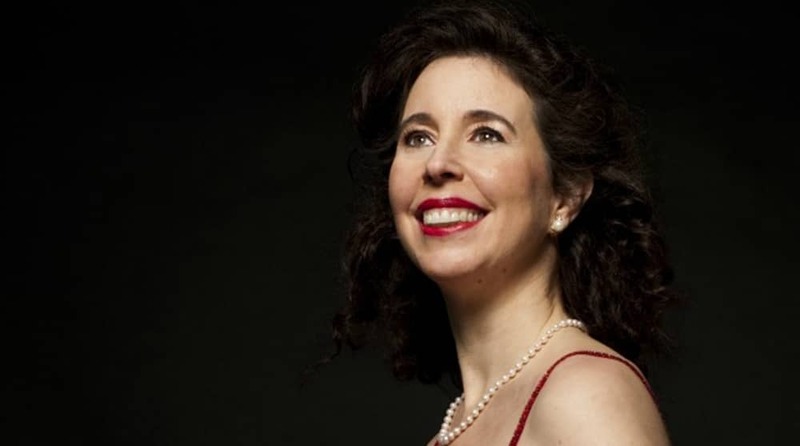 Angela Hewitt has recently performed with orchestras including The Cleveland, Toronto Symphony, Philharmonia, and Oslo Philharmonic orchestras and the Orpheus Chamber Orchestra at Carnegie Hall. She has also appeared with kammerorchesterbasel, Camerata Salzburg, and the Rotterdam Philharmonic and City of Birmingham Symphony orchestras, as well as the Verbier Festival Chamber Orchestra. Recent and future highlights include concerts with the Finnish Radio Symphony and London Philharmonic orchestras, BBC National Orchestra of Wales, Brussels Philharmonic, Sydney Symphony, RAI Torino, Orquestra Sinfônica Brasileira, BBC Scottish Symphony Orchestra at the BBC Proms and a return to Verbier Festival.Recital highlights of the 2013/14 season include concerts at Seoul Arts Centre, Tokyo’s Oji Hall and Nagoya’s Shirakawa Hall; Glasgow’s City Halls and The Queen’s Hall, Edinburgh; Wimbledon Music Festival, Sociedad Filarmónica de Bilbao, the SFJAZZ Center in San Francisco, and De Doelen, Rotterdam; as well as several appearances at Wigmore Hall, London. In addition Angela Hewitt will undertake a tour of Australia with Musica Viva, performing recitals in major cities including Sydney, Melbourne, Brisbane, Adelaide, and Perth. In 2012/13, Angela Hewitt began a major project to perform Bach’s The Art of Fugue in two programmes in major halls worldwide, based around concerts at the Royal Festival Hall in London as part of the International Piano Series. This follows on from the celebrated project “Angela Hewitt’s Bach Book” in 2010, where Ms Hewitt gave world premieres of six newly-commissioned works by leading composers at Wigmore Hall. Angela Hewitt’s award-winning recordings for Hyperion have garnered praise from around the world. Her ten-year project to record all the major keyboard works of Bach has been described as “one of the record glories of our age” (The Sunday Times) and has won her a huge following. She has been hailed as “the pre-eminent Bach pianist of our time” (The Guardian) and “the pianist who will define Bach performance on the piano for years to come” (Stereophile). Her discography also includes CDs of Beethoven, Schumann, Messiaen, Ravel, Chopin, Couperin, Rameau and Chabrier. Future releases include Bach’s The Art of Fugue, Mozart concertos, and a live recording of Messiaen’s Turangalîla Symphony with the Finnish Radio Symphony Orchestra; while recent discs include music by Debussy and Fauré, as well as the Schumann Concerto with the Deutsche Symphonie-Orchester Berlin and Hannu Lintu. Born into a musical family, Angela Hewitt began her piano studies aged 3 performing in public at 4 and a year later winning her first scholarship. She then went on to learn with French pianist, Jean-Paul Sévilla. In 1985 she won the Toronto International Bach Piano Competition. In July 2005, Angela Hewitt launched her own Trasimeno Music Festival in the heart of Umbria near Perugia. An annual event, it draws an international audience to the Castle of the Knights of Malta in Magione, on the shores of Lake Trasimeno. Seven concerts in seven days feature Hewitt as a recitalist, chamber musician, song accompanist, and conductor, working with both established and young artists of her choosing. Angela Hewitt was named “Artist of the Year” at the 2006 Gramophone Awards. She was made an Officer of the Order of Canada in 2000 and was awarded an OBE in the Queen’s Birthday Honours in 2006. She lives in London but also has homes in Ottawa and in Italy.